A Trustico® EV SSL Certificate is a guaranteed way to establish trust online and improve your customer conversion potential. The unmistakable green address bar in your customer's website browser immediately shows visitors your site is secure and that they can confidently proceed with their transaction. Your company name, displayed prominently in the green bar, is the green visual assurance of an EV SSL Certificate - the most trusted SSL Certificate available. Trustico® EV SSL takes e-commerce security to the next level with full business validation, saving your customers from phishing attacks and has all the highest encryption available with 2048 bit security. Without an SSL Certificate, website owners may not be viewed as legitimate to new customers searching them online - resulting in a loss of search engine traffic. You will lose traffic, people will be scared away – and worse, they will go to your competitors who do have a secure website. Google® has been applying as much as 5% ranking boost to pages using an SSL Certificate since 2014. Google’s new search ranking algorithm will look more favorably on websites that use HTTPS in conjunction with HSTS. The search giant hopes the move to enable HSTS will encourage businesses to implement website encryption. Price Match Guarantee Don't Buy Elsewhere, It's Not Worth The Risk. 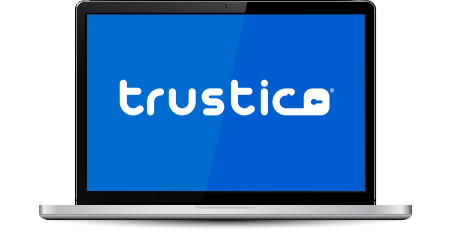 As one of the largest and favorite SSL Certificate retailers globally, Trustico® sets the standard in offering a high quality SSL Certificate service. Trustico® offers massive savings without compromising service or the security of your data. The same can't be said for some of our competitors. We definitely don't want to lose your business, so if you have found a cheaper price we'll ensure to welcome you as a customer of Trustico® by matching the price you have found elsewhere. Go ahead and place your order, we'll refund the difference when you advise us within 7 days. Your SSL Certificate can be purchased, validated and issued today! Get your online business secured quickly using our seamless validation process. All the major browsers and devices trust Trustico® SSL Certificates, providing you with the highest level of security and compatibility with 99.9% of the world's internet population. When you buy a Trustico® EV SSL Certificate you can be confident that your SSL Certificate will be trusted by all modern devices and web browsers. Great News! Your SSL Certificate will be issued by Trustico® using our fully automated fulfillment system. Trustico® are a leading SSL Certificate Provider. Our pricing structure for Trustico® EV SSL is well below the recommended retail price. Buy for multiple years and the cost of Trustico® EV SSL works out to be excellent value at its lowest price of only 48.54€ per year. Our unlimited reissuance policy for Trustico® EV SSL means that we will reissue your Trustico® EV SSL Certificate free of charge for the life of the SSL Certificate validity, for any reason. Trustico® EV SSL can be installed easily on any server that supports the use of an SSL Certificate. Trustico® includes the added benefit of Unlimited Server Installation licences and a $1,750,000 warranty. Your SSL Certificate Will be issued by Trustico® a world leading SSL Certificate Provider. Trustico® is trusted by 99.9% of web browsers. Purchasing a trusted SSL Certificate from Trustico® ensures that visitors to your website will never see annoying pop-ups or any other SSL Certificate errors. One of the additional benefits to being a Trustico® customer, is that we will automatically secure your Root domain for free! For example, if we receive an order for www.domain.com - we'll make sure that both www.domain.com and domain.com are secured. It's important to secure both. An Extended Validation SSL Certificate requires full organization validation. This ensures that the green address bar stands for only the most trusted companies. To qualify for Trustico® EV SSL the company requesting the SSL Certificate must be registered as a corporation or equivalent with the appropriate government agency in its country of jurisdiction. Official government agency records must include the company's registration number, date of registration or incorporation and the registered office or address. Our products are highly trusted and ensure that sensitive data such as credit card and personal information is protected online. Creating a successful secure web presence should be easy and affordable. Trustico® provides the best quality, most fully featured products and services at comparative prices. Becoming a Trustico® customer means you will have access to a diverse range of products and services. If you decide to become a reseller of SSL Certificates at Trustico® you will receive exceptional service that puts you in control of your frequent SSL purchases. Get access to SSL Certificate special offers, bulk SSL Certificate discounts and a preferential SSL reseller pricing structure. Install your website trust seal to automatically identify to your visitors that your website is genuine and secured. Our SSL Certificates will work with any server, device, hosting account or application that supports the use of an SSL Certificate. Each SSL Certificate has it's own unique features and benefits. We've got many SSL Certificates to choose from, check out the comparison below to ensure your getting the right SSL Certificate for your needs. If you're not sure which SSL Certificate to choose please call 019 014 323 or visit our Contact Us page to speak with us via Live Chat and E-Mail. There's no risk when purchasing your new SSL Certificate right now via the Trustico® website. Click Here to find out about our No Risk Refund Guarantee.